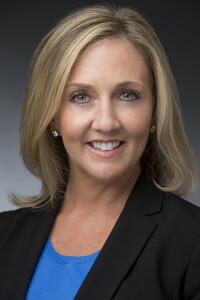 Jenny began her Washington career serving as the Legislative Director for Congressman Bud Cramer, an Alabama Democrat, and Member of the House Appropriations and Intelligence Committees. Jenny managed the Congressman’s legislative portfolio, as well as serving as the office liaison to the Blue Dog Coalition.Jenny has nearly a decade of successful results for a wide range of clients during her private sector experience. She is widely acknowledged as an expert appropriations hand, but also has successfully worked with Congress on legislation across the issue spectrum to include national security, criminal justice, energy and environment, transportation, financial services, and health care. Jenny holds degrees from Birmingham-Southern College, and her Juris Doctorate from the University of Alabama. Jenny is admitted to the bar in Alabama. Jenny is very active in Democratic politics, and has been a long-standing and active Member of the Blue Dog Coalition. Jenny resides in Virginia and has one son. She serves on the national and state board of several non-profit organizations, including the National Children’s Alliance.